Vidya Bhawan Krishi Vigyan Kendra organized “New India Manthan: Sankalp se Siddhi” programme at its premises. 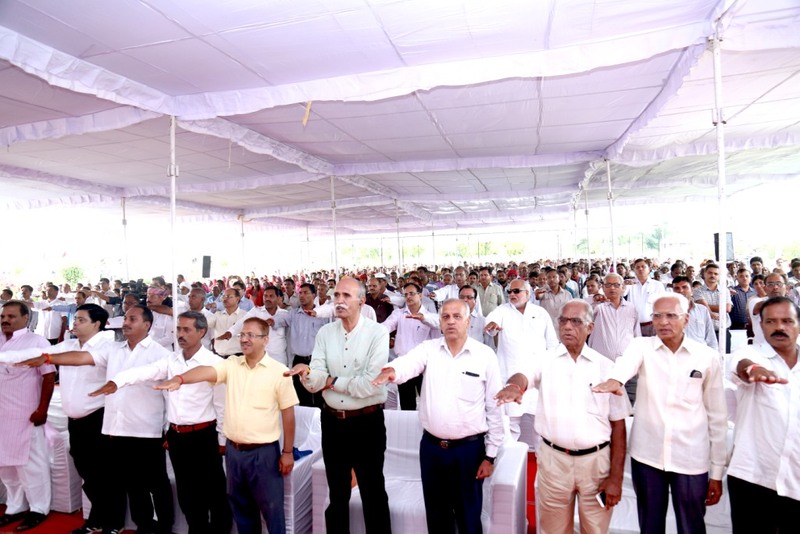 The chief guest of the event Hon’ble Union minister of agriculture and farmers’ welfare Sh Radha Mohan Singh presided over the “Oath Taking” of the gathering where participants took oath in formation of a new India. In his address to the farmers, the chief guest Sh Singh shared significant knowledge about the Government’s efforts on doubling farmers’ income. Sh Singh talked about the importance of soil health card, neem coated urea, krishi sichayi yajana etc. 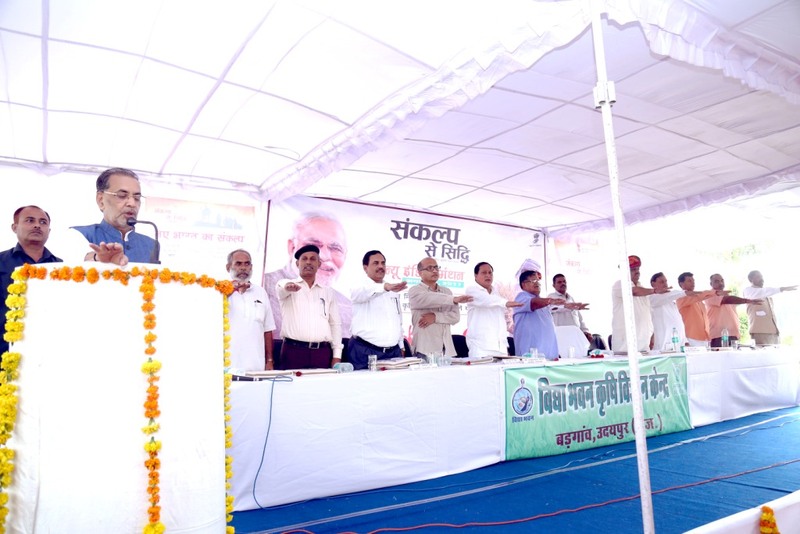 Hon’ble minister of Agriculture, GOR, Sh Parbhu Lal Saini also graced the event by his presence and in his address to the farmers, he talked about innovations in agriculture in Rajasthan like Olive Tea, quinoa cultivation etc. and also talked about significance of value addition in enhancing farmers’ income.